Is the Bouvier Des Flandres right for you? Bouviers des Flandres are known for their calm, rational, gentle, and protective nature. Bouviers des Flandres make excellent family pets. Bouviers should be socialized to avoid aloofness with strangers. Created in Flanders, Belgium by farmers who were not concerning themselves with the aesthetic appeal of their working dogs, the Bouvier des Flandres is a massive breed that was used to herd cattle, pull carts, and do general farm work. Today, the breed is used for farm work, along with guarding, tracking, guiding the blind, and police and military work. The Bouvier des Flandres was almost wiped out during WWI, serving on rescue missions and carrying messages. 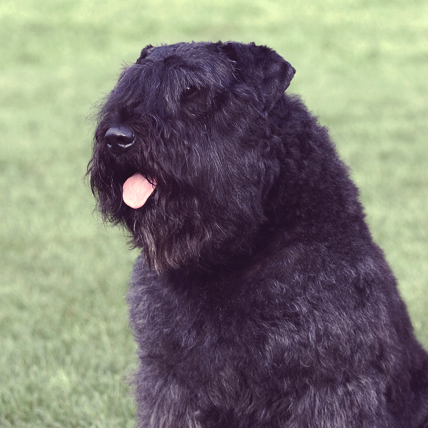 Thanks to the efforts of some Bouvier des Flandres enthusiasts, the breed remains an active member of the working breeds to this day. The Bouvier des Flandres is a massive, powerful, scruffy looking dog. They have a humongous head that is covered with long, dense fur, giving the illusion of a big beard. 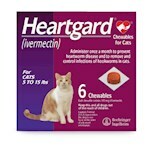 Their ears are typically cropped, standing erect on top of their furry head. They have a very thick coat that protects them from harsh weather, but also requires routine brushing, as their fur mats easily. Despite their massive size, the Bouvier des Flandres is one of the sweetest, most amicable breeds. They are naturally an active breed, and because of their background as a herding dog they should be trained with a firm hand. If they are allowed to think that they are on equal footing with people, they might stop following directions, becoming borderline unruly. They should also be socialized early to prevent shyness and tendencies to over protection. They are great with kids, but can be wary of strangers. The Bouvier des Flandres is generally somewhere on the spectrum between gray and black, possibly peppered with black and white. The only acceptable colors in shows are the aforementioned, eliminating any Bouviers with chocolate, white, or parti-colored fur; however a little tuft of white on the chest is alright.